Nike's advanced Carbon cycling shoe. Built on Nike's Italian made, cycling specific last. OCLV Carbon Fiber sole provides maximum stiffness while keeping the foot only 8 mm above the pedal. Compatible with all pedal systems. ·Great fit, particularly for narrower feet. Forefoot nonetheless roomy, still would work well for average-width feet, I think. ·nice hardware (buckles/velcro), though not as solid-feeling as on Sidis. But they work, for sure. ·I'm no fan of Lance Armstrong, not at all, and these scream 'U.S. Postal'. But that means less and less as the years go by. No where near as cool-looking as Sidis, I think. 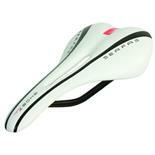 ·the leatherette in not as durable as Sidis, gets scratches and gouges a bit too easily. I got these for the narrow fit, which I'd heard these had. I also knew from experience with Nike running shoes that their fit would probably be narrow, and indeed they were. Its not easy finding a decent pair of riding shoes with a medium-narrow fit, and these have it. The only other option would have been Sidi Geniuses in the narrow version, which are way more difficult to find on ebay.In general I love Sidis on every level but the fit of the standard version is not quite narrow enough, so I gave these a try. Fir, weight, comfort, power to the pedal. Bought these as an additional pair of shoes (like bikes, you can naver have too many bike shoes, right?) and LOVE them. L O V E oogly woogly LOVE them! I wear them more than my Poggios these days...at least I do for long rides. The fit is amazing - comfortable, lightweight and solid performance. I wish they still made them 'cause I'd by a new pair. Yes, I know the "Lance" is essentially the same shoe, but the Hautacam is more...how you say...subtle. Nike Poggio I's, Carnac Quartz. Before purchasing these, I tried on a ton of bike shoes, but the higher end ones were out of my price range and the lower end ones didn't fit as well. I believe they have been mostly discontinued, but if you can find them, I say go for it. Easy to adjust and tighten. A very good buckle and strap road shoe. You might be able to find a good deal and clearance price on these since they are no longer made. Make sure to go and try some other Nike road shoes on so you know exactely what European size to purchase online or through the mail. The only problem I've had with my Hautacam (which has been improved on the new Nike Lance) is in the heel area.....out of the heel area is now surrounded by a plastic heel cup/exterior. After a few spills, I have torn through the leather/nylon exterior on the inside of my left heel. The "skeleton" of the heel cup is just fine.....mainly cosmetic. I kinda fix it by using black Shoe Goo to cover the road burn. The plastic heel exterior goes a long way to protect the shoe, but it mark your cranks and frame a little more.....can't have the best of both worlds. 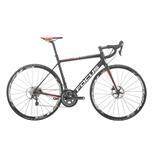 Wanted to purchase a high-end road shoe because of the performance and comfort. I've tried some of the two and three velcro strap shoes, but I found that I quite couldn't get the real, nice tight fit that I was craving. The buckle is great....simple, quick and gets my ankle and heel tight and locked in. After months and years of use, the bottom of your shoes are going to get stratched....sorry. The stitching on the two velcro straps are very durable, and I've not noticed any tearing at the seams. I have no idea what kind of weight this shoe comes in at compared to other high-end SIDI, Shimano or the new Nike Lance, but I'm sure it's a little heavier because it's a few years older. I've also heard that the new Nike Lance is a little more comfortable because the new re-designed strap and split tongue. I cannot comment, but my Hautacams are very comfortable with no sore spots/blisters even when I decide to ride without socks for 2-3 hours. I use the Nike Hautacam with 2004 Shimano Dura-Ace 7800 pedals with 3-degree float......very good combo. None....other than just trying on other road shoes at the bike store. I really have not purchase and "road tested" other types and brands of shoes. 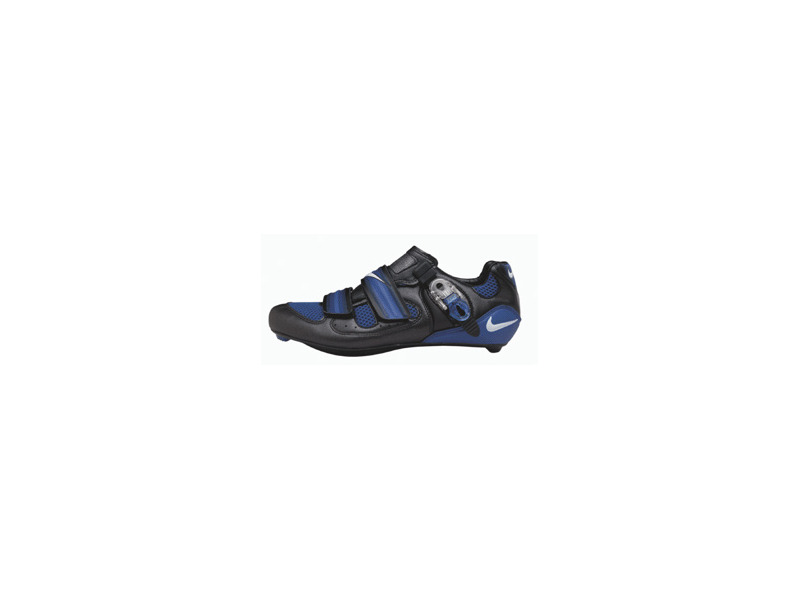 Thinking of purchasing either the Nike Lance or the top-of-line Shimano (silver model), but cannot justify spending over $200.00 for a pair of shoes yet.